Are you feeling christmassy yet? 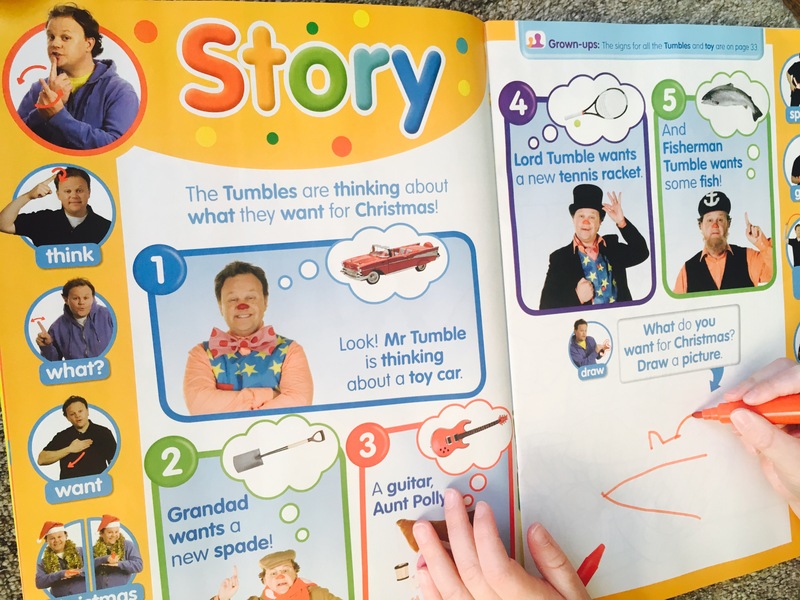 I can pretty much guarantee after completing December’s Mr Tumble Something Special Magazine (with its vast array of christmassy crafts and activities!) 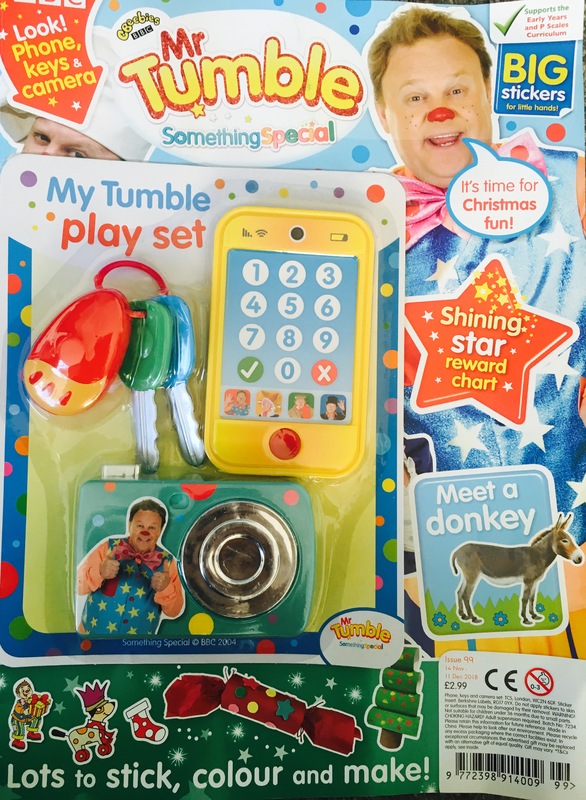 you and your children will be full of festive spirit! The children loved the toy smart phone, car keys and camera, great for imaginative Play and pretending to be grown ups! 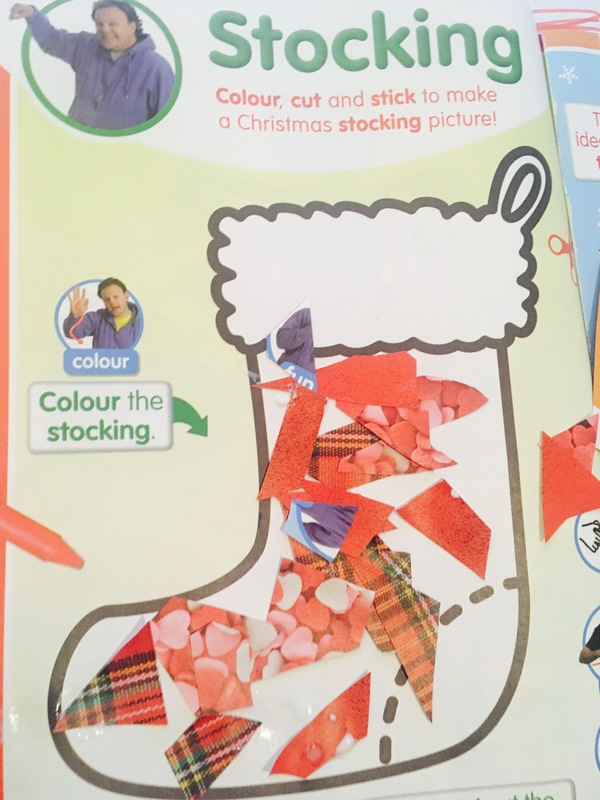 What Christmassy Activities are Inside the Magazine? 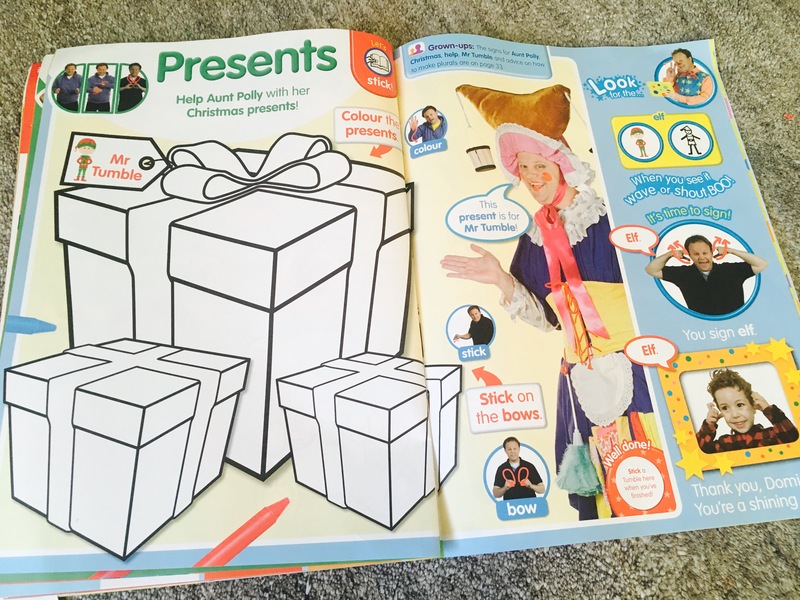 Christmas Pencil Control Activities- Pencil Control activities are brilliant for helping children get used to following shapes and lines correctly with a pencil. They help build accuracy, stamina, hand strength and fine motor skills essential for learning to form the letters of the alphabet and ultimately to write words and sentences. 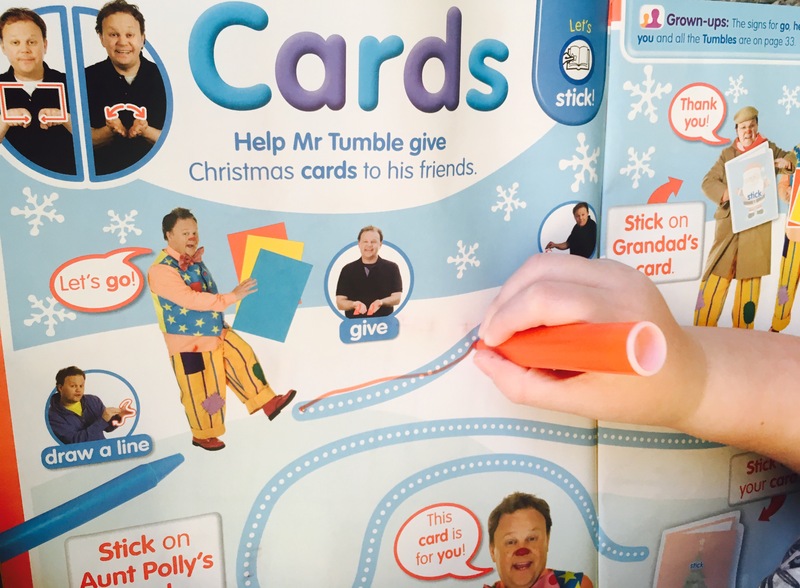 These three festive pencil control tasks really help to engage children in this learning activity. Christmas Themed Story– If your child is preparing to send that all important letter to Father Christmas, this month’s story is a brilliant way of encouraging children to think about what they might like to wish for, for Christmas. 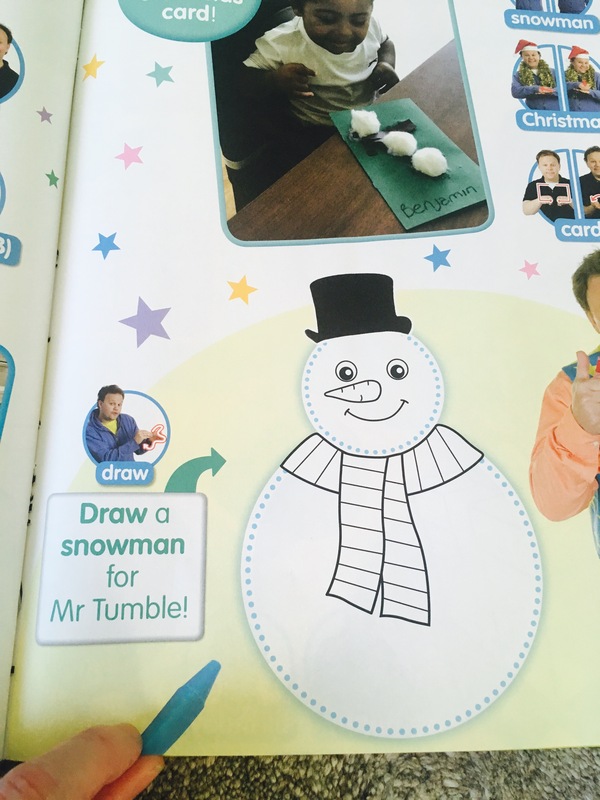 We loved that there’s also a space for children to draw a picture of what they would like for Christmas. 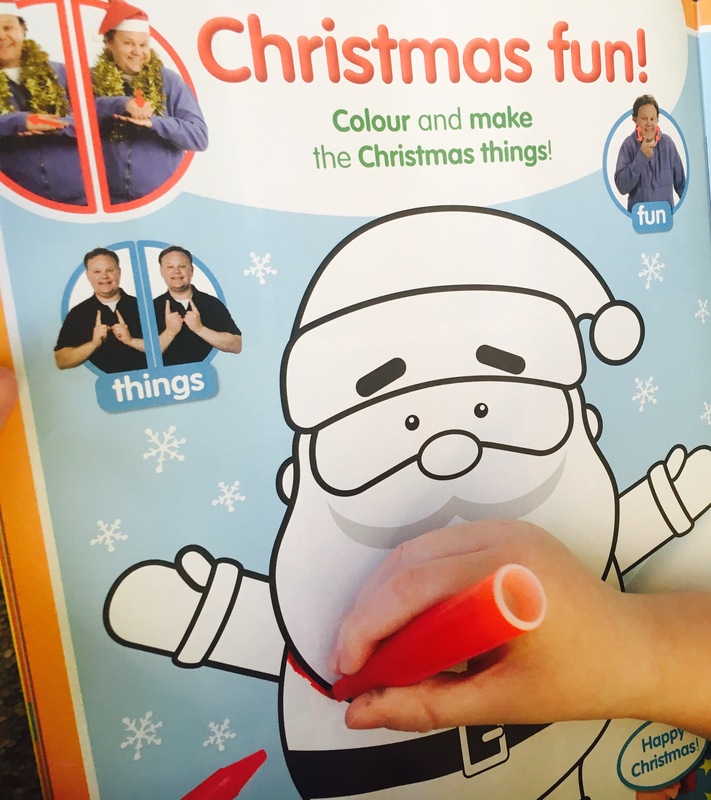 Colouring Pages– There’s three brilliant Christmas themed colouring pages in this month’s magazine, fantastic for encouraging children to enjoy colouring! 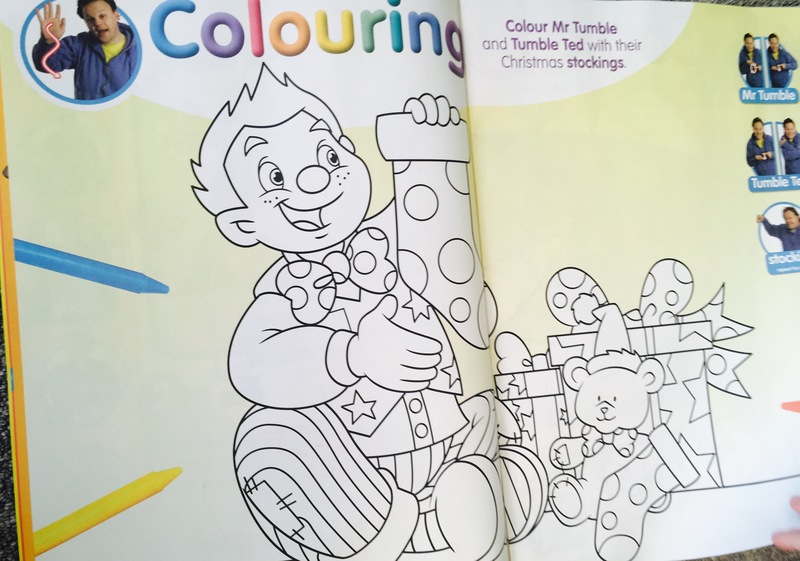 In my opinion, colouring can be extremely beneficial– find out why here. 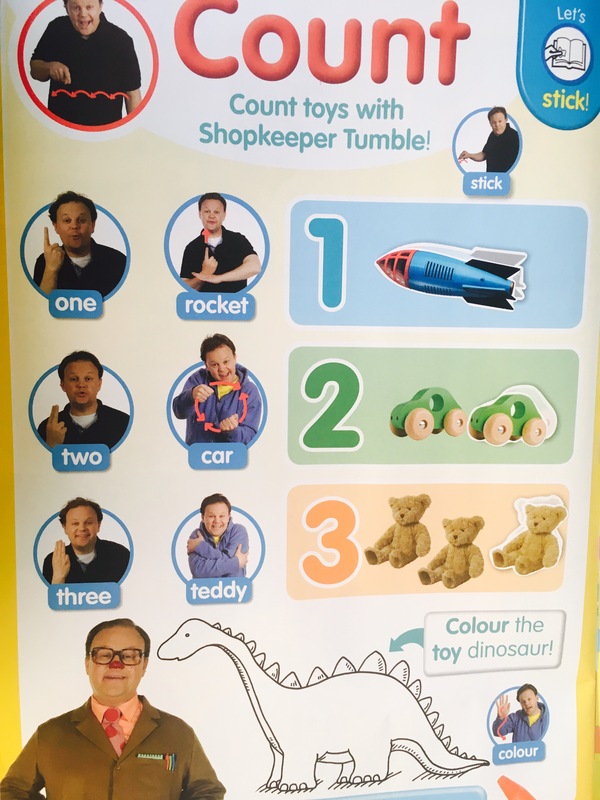 Counting Christmas Presents– The children enjoyed this fun counting activity that builds on number recognition and counting skills, supported by the corresponding Makaton signs. 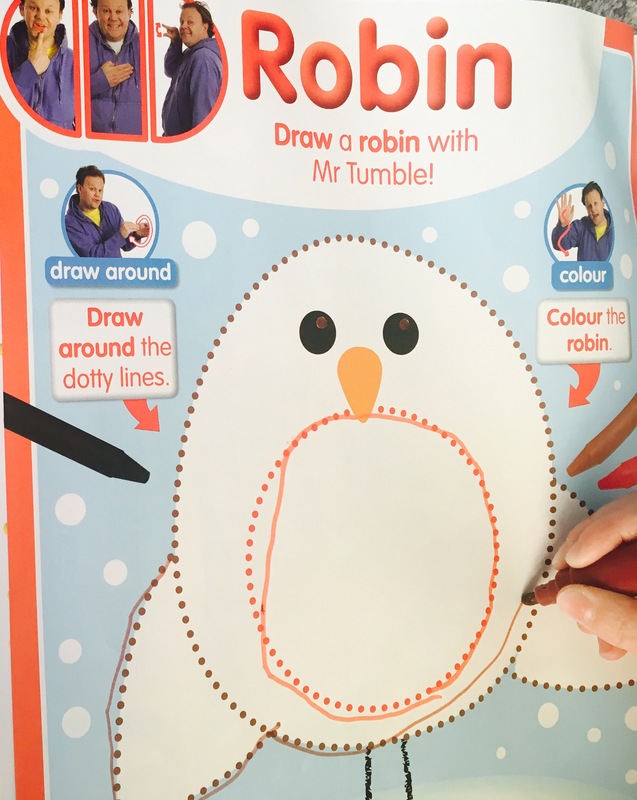 So Many Festive Crafts– One of the best things about Christmastime with children is, in my opinion, the array of fun Christmas crafts available! 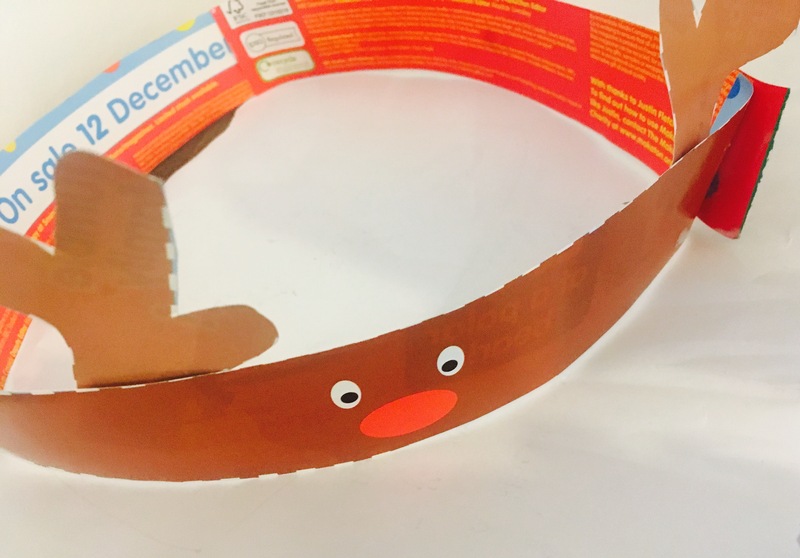 This month’s magazine has some great craft activities from creating a reindeer headpiece to collaging a Christmas stocking! 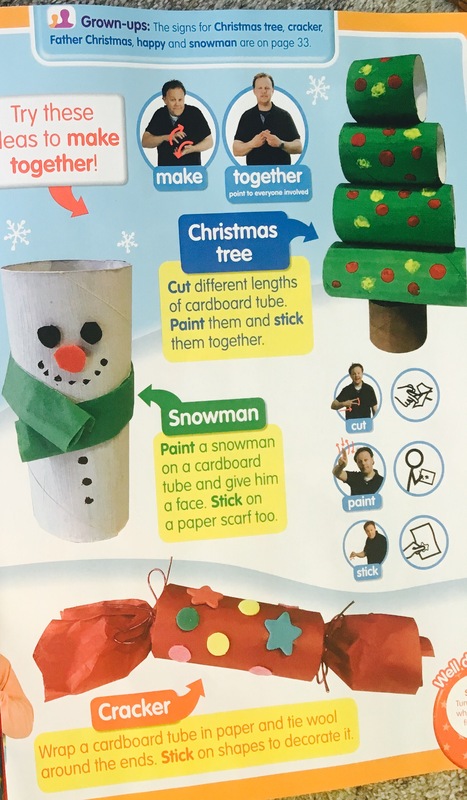 They have also included three additional Christmas crafts to try with cardboard tubes. 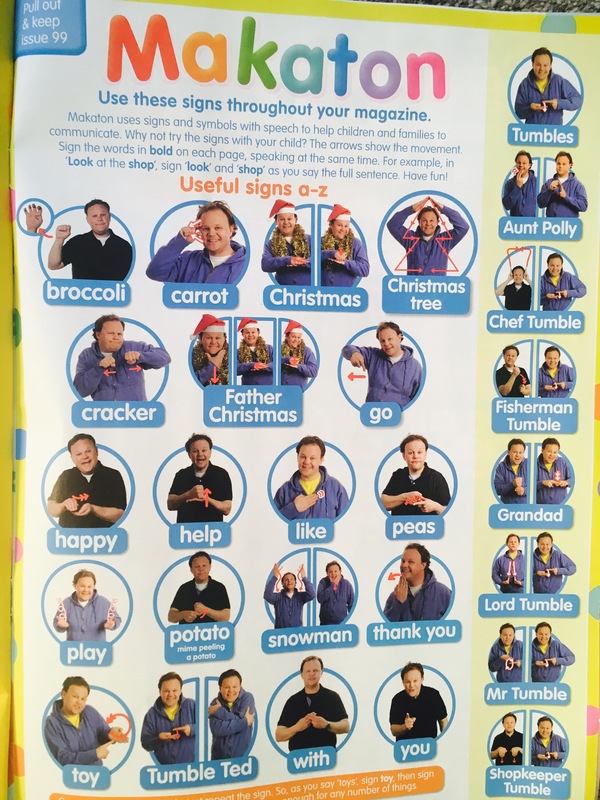 My favourite Page was the Makaton Page that shows you and your child how to sign some Christmas words, as well as other key words from in the magazine. The children’s favourite was the ‘page where we learnt about donkeys’! 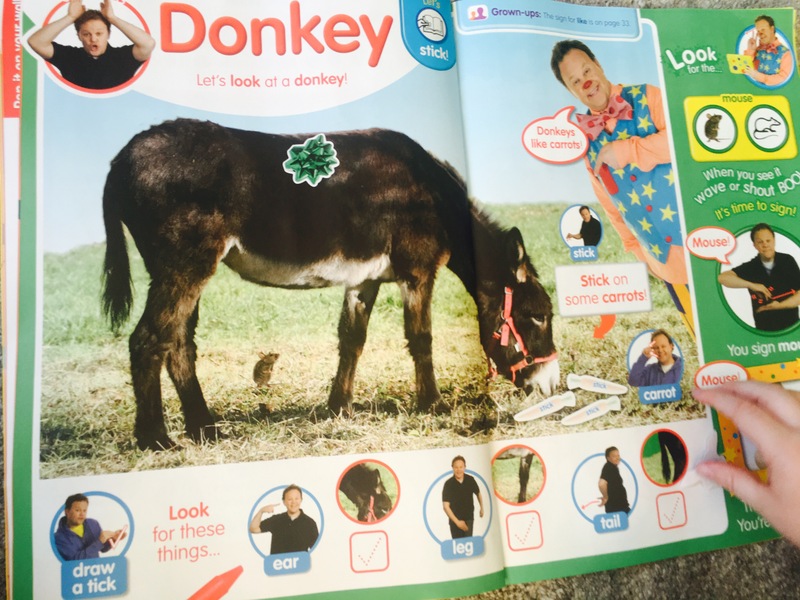 Where they had to spot the different parts of the donkey on the photograph and ‘feed’ it carrots using the stickers provided. ← Is it OK to Let our kids Get Bored?